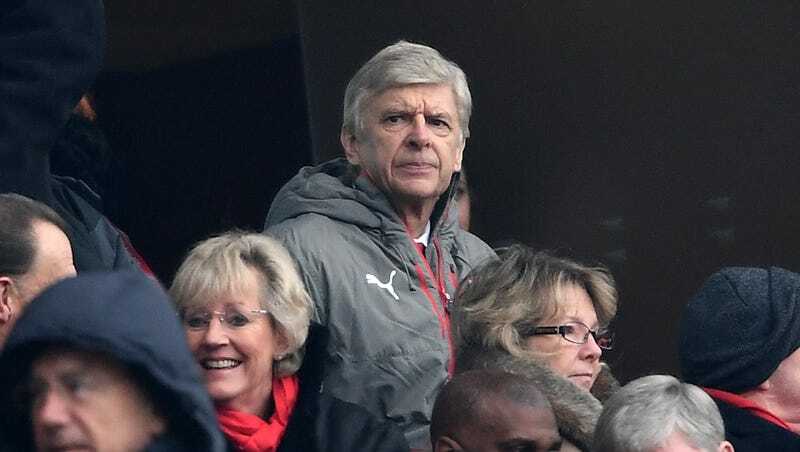 With Arsenal fourth in the table, 13 points behind league leaders Chelsea, and still raw from a 5-1 Champions League thumping at the hands of Bayern Munich, the season that started so auspiciously for the Gunners is not panning out as expected. As a result, and as is routine, the job security of long-serving Arsenal manager Arsene Wenger has been called into doubt. “I believe as well that this job allowed me to get to the next level as a human being; to develop my strengths in what makes a human being great. To get the best out of people. That is absolutely fantastic. Maybe Wenger has to say these things. The club’s board is, after all, thrilled about top-4 finishes and the Champions League money that comes with it. They don’t need trophies to keep the business running. So Wenger’s patronizing comments about “what is really great in human beings” (it’s what exactly? ), “pushing your limits” (of losing? ), and reinvention (how? ), seem to be aimed at shoring up the support of club executives. But what if his remarks are more than just lip service? This isn’t the first time he’s seemingly reveled in his club’s inability to win titles (they haven’t won the Premier League since 2004; they finished second to Leicester last year). A manager can’t be ok with losing. Arsenal don’t need a manager who “specializes” in masochism, no matter how elegantly he can wax about his suffering; they need one who will push the board to spend more on star players, fight to keep developing talent, and, most importantly, not settle for good enough.